How can you forget your past when you are not guaranteed a future? I heard that on television this morning at an insanely early hour and it made me stop and think. Read that again and stop and think about it. To some extent, we all do. We stockpile, we work 80 hour weeks, we pack our schedules with things we think will guarantee a more successful future. As I wrote yesterday, there is nothing wrong with aiming higher, as long as we are doing it for the right reasons, but often we don’t. Are we guilty more often than we care to admit of slipping back into the habit of living like our futures are not guaranteed? If so, lean on the truth of these scriptures. 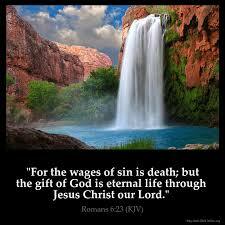 2 Peter 1:4 ……….and because of His glory and excellence, He has given us great and precious promises. These are the promises that enable you to share His divine nature and escape the world’s corruption caused by human desires. Jeremiah 29:11 For I know the plans I have for you, says the Lord. They are plans for good and not for disaster, to give you a future and a hope. Matthew 11:28-29 Come to me, all you who are weary and burdened, and I will give you rest. Take my yoke upon you and learn from me, for I am gentle and humble in heart, and you will find rest for your souls. 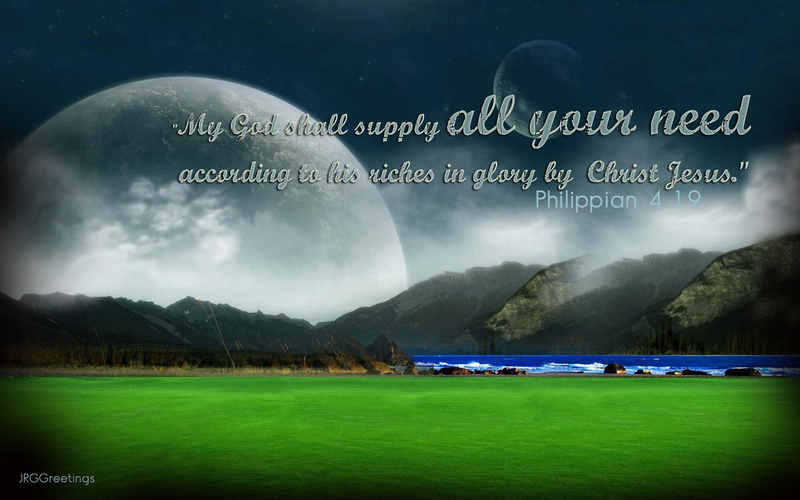 Philippians 4:. 19 ………and the same God who takes care of me will supply all your needs from His glorious riches, which have been given to us in Christ Jesus. It seems we are guaranteed a future after all. Worldly expectations vs our hope in God. We know we are to strive to be content but the truth is we also yearn for more. It’s human nature. It is hard to look past the worldly trappings that bring instant gratification and settle for the expectation we hold for heaven. Heaven and an eternity with our Father can at times seem distant and vague. How can we learn to be content while also aiming for more success? How can we be grateful but still believe more is possible? I guess the question we need to ask ourselves should be, “what is my motive”? Is my motive about service to self or service to God? I think that if we are aiming higher only to gain material possessions or for earthly power and prestige, contentment will elude us – enough will never be enough. Maybe we need to redefine our idea of success. Our culture more often than not defines success by the things we own or the titles our jobs give us. I love how V. Burton puts it. Maybe we should look to what can fulfill us rather than success, aim for excellence more than success and refine our standards to come into line with what God defines as success rather than what society defines as success. The big question for us should be “does my success glorify God”? I have been thinking about personal faith in God in relation to the world we live in. It is really easy to sit in my nice, cozy, isolated office at home and profess my love for God but what I want to be certain of is t when I walk out of my house, that showing of faith follows me. I want everyone around me to know of the love I feel for Christ without me breathing a word. That is my goal. That is however, tougher than I imagined, after all, I live in the real world. I guess I am ahead of the game in a couple of aspects, number one, I love my Savior and I know I can ask help to remain a good influence to those around me, number two, I am aware that as soon as I let down my guard the enemy is waiting to attack any little opening he can find and number three, I have a desire to expand the Kingdom and I have a wonderful support system. However, and this is a big however, the world we live in is not an easy place to navigate as a Christian. Something that strikes me as I am sitting writing this morning (a rabbit trail I think is the correct term) is that when I wear my CMA vest, or when I have a t-shirt on that lets others know of my belief, I feel like super woman and am spurred to walk the Christian walk so to speak. Good begets good, but what about the time I am simply dressed for work, or in jeans and a sweatshirt? What happens when I get to work and chaos reigns as often happens. What happens when things get uncomfortable, or I get angry at people, or circumstances circle around and strangle my good intentions? What happens then? I am ashamed to say that thinking back on my behavior at times, there is no way people are thinking I am acting on God’s behalf and that is a tough pill to swallow. The vest , or cross around my neck, or whatever I chose to wear that signifies to the world that I am a Christian, those things make me feel proud and are a good reminder for me, but when it is all said and done, a vest is only a vest, a necklace is only a piece of jewelry. The way I dress shows people that I belong to a Christian motorcycle club, or a certain church, that’s it. The vest is a sign that I have a relationship with my Savior, but the vest shouldn’t be my source of courage or my strength, Christ should. I have the same strength reigning inside me whatever I am wearing. Don’t get me wrong, I am not saying that Christian fellowship and displays of Christianity do not have an important place in our walk with God. I love CMA, the people I have met have changed my life, I love wearing my CMA colors, I love wearing cross jewelry and any other adornment that signifies I am a Christian, but that should not be what exemplifies my walk of faith. My love should be the motivating factor, my actions, my heart. We have to be careful that those outward showings of our love for God are not substituted for the inward changes that take place when one places their trust in the Savior. That certainly was a rabbit trail, but when I sit down to write, I let God have the keyboard and I never know what is coming. I guess I needed to be reminded that we as Christians have an obligation to show the love of God to all around us. We can’t rely on the trappings of religion to do that, the real deal comes from deep within, it comes from Christ living in our hearts, nothing more, nothing less. When God chooses to show us the truth of our lives He does it in a lot of different ways. Sometimes it is subtle and gently, sometimes it is spread over a period of time and other times it is swift and certain. Then there are the times the lessons are so raw and pure that there is no mistaking the lesson. We are so good at shouting our unhappiness when things are not to our pleasing. The popular saying is “don’t sweat the small things”, well we sure seem to sweat a lot of stuff that, in the grand scheme of things, don’t make a bit of difference. The practice of overdramatizing, exaggerating and blowing things out of proportion is rampant. If we are busy making mountains where there are only mole hills our focus is not where it belongs. In all actuality aren’t we looking at it backwards, shouldn’t we be relying on God to make mole hills out of the mountains life hands us? What about learning the simple art of being content? If we are truly living for God, if we are talking and listening to what God is telling us and living as God wants us to, aren’t we exactly where we are supposed to be? Look at the money we spend on self-help books, on plastic surgery, on meaningless trinkets. Look at the time we spend trying to change and manipulate things into what we believe will make us happy and give us the feeling of contentment we seek. Maybe it’s time to put that energy into learning to be content in all the circumstances of life that we find ourselves in, maybe its time to accept the truth of what God says. Maybe it is time to want what we have, to quit comparing our situations with another’s, and to accept where we are and be content and even thankful we are there and recognize that place is where God has placed us and that place is where we are supposed to be. truths and find a solution for certain questions.The five around the table were women who not only love to ride, but for whom riding is part of who we are, what we do and how we live.Some of us were first-generation riders, and some came from families who ride. Cindi’s mom rode 50 states in 50 days and celebrated her 50th birthday in the middle of the ride! Cindi would love to repeat her mom’s ride on her own 50th birthday.I am cheering you on Cindi! You can do it. My friend, Georgette Hoffman, was there and she is such an inspiration to me. She grasps life as if there is no tomorrow (and we all know there are no guarantees). But she does it with grace and caring that is second nature to her.She rides with gusto and freedom of spirit that is a joy to watch. She has made epic solo journeys of thousands of miles.Control her you cannot, but you can count on her without hesitation.She is the first to jump in and help wherever she is needed and she takes the time to help me,or anyone who needs it, through tough times. She is also a police officer with the Gillette (Wyo.) Police Dept. and has 11 years in the law enforcement field. “George” and all the women around that table are wonderful examples of women who ride. I have found that women who ride are special with an extraordinary attitude and a true brand of courage. We are women who create our own paths and shape our own calling. Eventually the conversation turned to the reason we were all there – to plan the 2014 Sweeties on Wheelies ride, for the first time to originate in Gillette, Wyo. convention held in a different part of North America each year and hosted by a different district.According to the Motor Maids constitution and by-laws, “It shall be illegal to pull your motorcycle on a trailer to or from a Motor Maid sponsored event.” That is an inspiration and a call to all women to ride! New members are encouraged to find a “MMM” (Motor Maid Mom). This is a special member with some tenure within the organization who will help you form special bonds as a Motor Maid. I have become friends with Mona White who moved from Florida to Wyoming in January 2013. She left her bike in Florida and was trying to figure out how to get her bike to her new home. Various Motor Maids got it from Tampa Bay to Daytona, then to Mitchell, S.D., then Rapid City, then into the hands of Mona. Rapid City is also home to another Motor Maid, Ev Straight. Ev is a Golden Life Member. To attain that status one must have 50 consecutive years of active riding membership with no inactive status, and 10 conventions attended. Ev joined in 1954 and for many years a motorcycle was her only means of transportation. Ev’s daughter, Terri, has memories of riding behind her Mom when she was only three years old. Back then, after work on most Fridays, Ev would put Terri on the back and head the 150 miles to her family’s home in Lovell, Wyo. They would arrive at the foot of the Big Horn Mountains late in the night and Ev and Terrie would pull the bike over, spread a blanket on the ground in a barrow pit and sleep until daybreak. That is the kind of woman Motor Maids consists of and the kind of woman I strive to be. The Motor Maids Annual Convention 2014 will be in Texas. I will not be able to attend but I will be at the 2015 convention. It will be in Moncton, New Brunswick, Canada in July. I will be reporting on it and I will see you there! As special as is one woman who rides, you bring a group of rider women together and you have an extraordinary and unique group that won’t be held down, won’t be held back, and you can bet that you won’t miss us! As a school principle I see a lot of different people and see many different attitudes and experiences.However, nowhere do I see the same thing as I see in women who ride. They are exuberant, successful, spiritually inclined, tenacious, risk takers and creative. We are a diverse group but mostly we are a community. We are a growing nationwide force to be reckoned with and we are here to stay. There is an unspoken camaraderie, an unspoken code of support that just isn’t found elsewhere.I am proud to be a card-carrying, hard-core woman who rides. I truly, truly believe that what I have been on is a journey and I also God took me from right where He found me and has a definite destination in mind. I have been given scripture to help me not only confirm this but to serve as road signs also. One of those is Philippians 3:13-16. God tells me that yes I have a past that is less than perfect but it’s ok, look forward to the prize for it is a prize which is hand picked for me. Where my road is clouded by fog He will help me to gain clear vision to continue my journey. That is a wonderful and encouraging thought and it sounds easy but wait………read on…….as always, there is more just a few verses down. Make sure you are on the right road because the destination could be destruction. Oh wow, that certainly gets right to the point. One commentary I read on this said we need to keep our eyes heavenward, not on earthly things. “It is not so much those who deny the doctrines of the cross as it is those who oppose it’s influence on their hearts, not so much those who live to scoff and deride religion, as it is those who mind earthly things,” that injure this holy cause in the world. That too is profound and I have prayed and thought deeply on this and how I can make sure that the journey I am taking involves no detours that are Dottie induced and not what God intended. This is the last part of what turned out to be some rather long winded thoughts about my journey, riding a motorcycle, being a woman and how God fits into it all. It is about how the journey included my whole life, my friends, my motorcycle clubs. It’s quite entertaining to think back on the means God employs to bring His children home. Let me stop a minute and say that this is not about liking one motorcycle club more than another and it is certainly not about trashing the reputation of any club, it is more about God shaking up my world and the unfolding of a journey of faith. It is about God leading me to exactly where I needed to be and understanding that sometimes God has to use harsh means to bring stubborn people home…….just saying. Lots of people join motorcycle clubs for lots of reasons but the reasons are fairly universal. They join to have someone readily available to ride with and for the camaraderie a club offers. I have been associated with two motorcycle clubs for exactly those reasons. One club was strictly for people who ride a certain brand of motorcycle. I am still a member of that national club and until this year, a member of the local club. I met some wonderful friends in that club but for one reason or another I drifted away(not from the friends, just the club). I cannot say that my parting from that club was easy, it was painful but I knew I had to distance myself and I learned more than a little from it. The other club I belong to is a christian motorcycle club, in fact my hubby holds an office in that club and me too by the fact I am married to him, lol. It is ironic actually and makes me smile this morning that God did this. I was a board member and officer of the other club and had a very, very active role that was independent of Earl. Now I hold an honorary office because of Earl and in partnership with Earl…………it seems another lesson is in there. You would have to know my history to get the full impact of the meaning of this for me but I suspect it has to do with my stubborn independence. If i couldn’t see it for the gift from God it is, I would say the joke is on me! I will be perfectly honest, when I joined the christian club I joined for what the club offered me, not for what I could offer but for the friendship, and like-minded people to ride with. It was pretty one-sided, and I totally underestimated what was to come, I admit it. However the minute I put on my vest with the bright yellow colors, subtle shifts started occurring. It was the thumbs up and shouts of Praise Jesus from the vehicles beside us at the stop lights. It was the pat on the back from a stranger and heart-felt thank you for what your group does, as we were sitting at a restaurant. It was honest and heartfelt group prayers for safety as we travel. It is a heartwarming Christmas Eve invitation to a family get together, it is delicious brunch while planning the years trips. It is knowing that the power of group prayer is only a phone call, text or lunch away. It is that in a personal crisis a friend who is a member of another brother Christian motorcycle club was prompted to call a friend in our Christian Club for prayer for us, not a call to gossip but a call to help. It is fellowship with meaning. It is fellowship with God as the center. It is fellowship that lifts up and contributes to the Kingdom. It is in one word, amazing. In all honesty, it isn’t the people in the club that make me so thankful to be a part of it, it is the fact that these people emit a inner goodness and light that only God can be responsible for. It is the fact that it is not just riding, but caring enough to ride for a cause. I know with certainty that in this part of the journey God brought me to CMA for very distinct reasons. He brought me the support, friendship, wisdom, clarity, and honesty all weary travelers need. He brought me what I call safety tips from road captains (a gentle way of saying He brought me gentle guidance when I get off course) He brought me counsel from kindred spirits. He brought all this in a black vest with bright yellow colors. So I guess that is my long winded way of saying that while I joined for one reason, I stay for another. God is there and He wants me there. I have always heard that the best journey’s are the spontaneous ones, well this journey certainly has not gone as I have assumed it would but I have no doubt that God knows exactly where we are going. God, if I haven’t said it yet today, thank you. I love writing about motorcycles for northern Rockies rider but my soul yearns for more, my soul longs to tell the story of this journey. 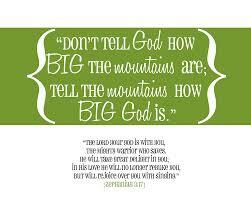 I long to tell others of what God is doing in my life. Our God is a truly amazing god indeed when he can show Himself to us through the most meaningful ways, in other words he individualizes his pursuit of us to the most effective ways possible. When I write about riding I write about not only where I have been or where I am going I write about the inner journey too, the journey no one is witnessing but me. I cannot separate riding my motorcycle from journeying with God, it is one and the same. I cannot write about riding my bike and not mention God. 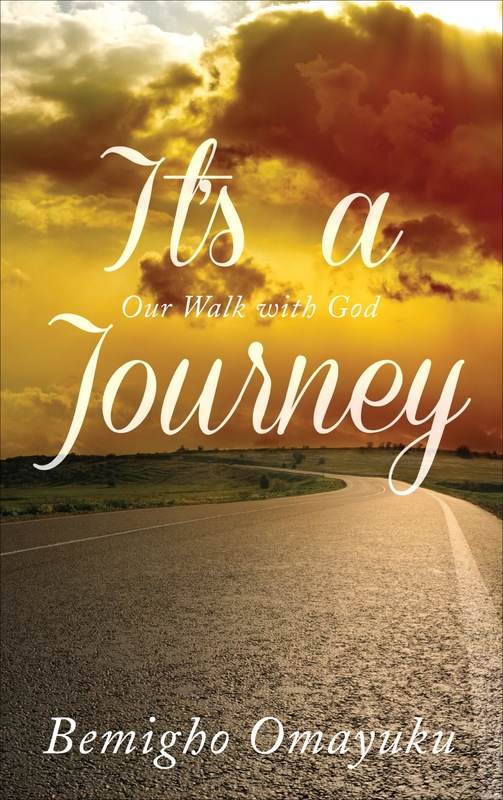 As I am walking this journey with god I am studying, learning and discovering the truth of a life lived with god. It has been an amazing journey. It is true that I found independence, freedom and incredible empowerment but I found something much deeper I found the courage to surrender. By climbing off the back of earls bike I found courage I didn’t know I possessed. Learning to trust God has taken that same kind of courage. It is all about surrender isn’t it? The Bible explains it, preachers talk about it, however, reading about god, singing, studying, going to church are all wonderful things but to take those words from the bible and to take those lessons from the preacher and apply them in a personal way, that is difficult sometimes. It is easy to read the Bible and say, Oh good plan. However it is not quite as easy to fit it into everyday life. But I suppose that is where walking in faith starts and living with Gods grace lifts us. A good first step would seem to start to be willing to be willing……….. I gave up the back seat of my hubby’s motorcycle for freedom, independence and empowerment and here I am offering God the drivers seat. It seems a step backward but it really isn’t. So having taken that step and walking this walk I want to shout it from the rooftops and spread what I am learning, I want others to feel what I am feeling. I fought to learn to ride my motorcycle, hours and hours of practice in parking lots, setting up cones, practice, practice, practice, just to pass the test to get my license. I was told by the instructor of the motorcycle safety class I took that I was a fool to have picked such a big bike and that I would never learn to ride it. I did learn to ride however and I did it with a singleminded determination that was born of desperation to lift myself out of a bad place in life that I was going through. Little did I know what God was doing at the time, but God revealed it to me little by little at the precise moments that I was ready to receive it. It is curious to me that I am willing now to give up that control I have fought so hard for, to surrender control, and take a back seat and riding along as God is leading me to where He needs me to go. I’m not saying that I always go quietly, lol, not at all, sometimes it is an internal fight of epic proportions but somehow I manage to put myself aside and go where God is leading, well ok, let me restate that, at least I usually head in the right direction. I have come to the conclusion that to follow God means exactly that, it doesn’t mean to follow God when it is convenient, to follow God onto when He is leading to places that are comfortable and familiar, it doesn’t mean to follow when the destination is obvious, it means to follow Him period, no matter where He is leading you. There will be suffering, there will be uncomfortable time, there will be sacrifice, but there will also be rewards like we have never known. So i will be persistent, I will ask for wisdom, revelation and intervention, then I will ask and again and again. i want to ride my motorcycle, i love riding and when i ride with God i ride with peace, promises. No matter how many roads I have left to conquer here on earth, I know I have an endless, eternal road I am taking, incredible endless and headed for the light.